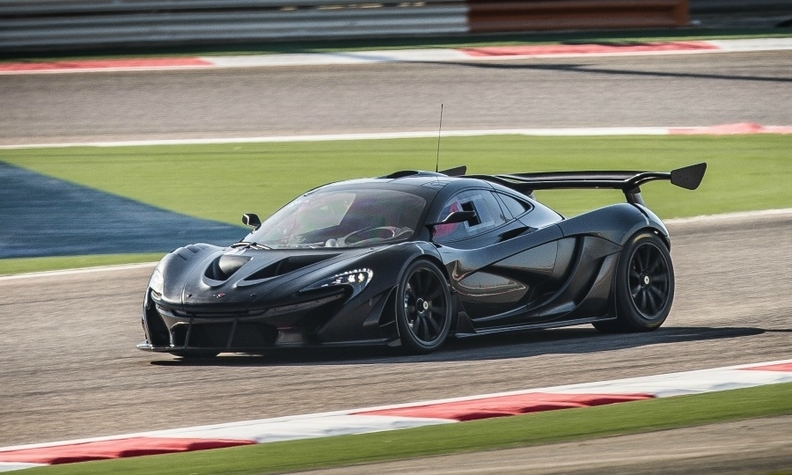 McLaren says the 986hp P1 GTR will be one of the most extreme limited-run track cars ever built. The car will be powered by a 3.8-liter twin-turbocharged V-8 engine mated to an electric motor generating 986hp. It is based on the McLaren P1. The limited edition P1 GTR will only be available for customers to drive on a race track, the company said in a statement. McLaren said it is currently testing the P1 GTR in Europe and the Middle East to further tune performance, aerodynamics, and handling in the car to ensure it lives up to the GTR name, made famous by McLaren’s 24 Hours of Le Mans-winner 20 years ago. Upgrades from the company’s motorsports arm used in the P1 GTR include weight reductions, an extended front track, new exhaust and a fixed rear wing. It also gets slick tires and an on-board air-jacking system. McLaren is expected to release further details on the P1 GTR, including the price, at the Geneva show. UK media reports have said the car may cost 1.9 million pounds (2.48 million euros).